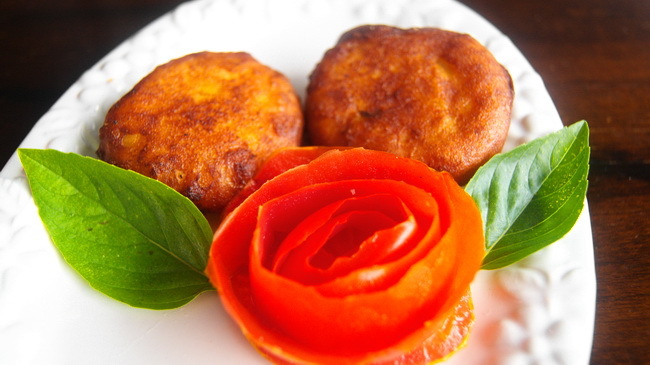 Alur chop / potato fritter is a simple delicious snack. We make it several ways with stuffing of egg or prawn / without stuffing and dip in besan(chickpeas flour) \ dip in egg and roll in bread crumb (too many twists). The interesting fact is the taste of different types of Alur chop / potato fritter so different. It even differs on uses of dry chilli and green chilli or fried onion or fresh onion. 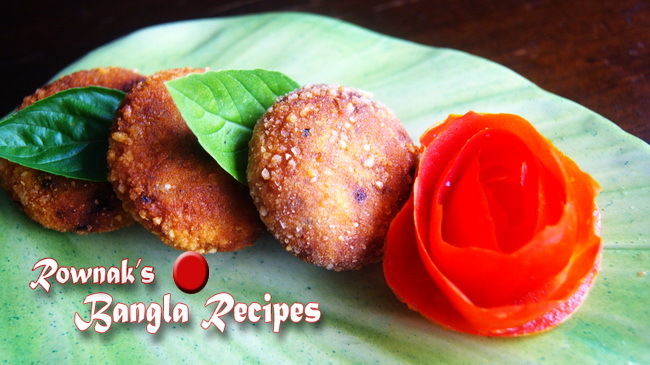 I will give two ways of simple Alur chop / potato fritter recipes today. N/b I have a small request that I made all my recipes and photos with hard work, love and dedication for Bangladeshi food. Feel free to share it but don’t forget to mention the name of my website. Thanks. Mix onion, chilli and salt together and add into boiled potato. Divide the potato mix into 8 and give the shape of fritter(chop). Make batter of besan mixing ingredients together and about 1 cup water (or 1 tablespoon less). Heat the oil; when oil ready dip chop in batter and fry it till it becomes golden brown. Fry dry chili and crush it. Fry sliced onion till it becomes golden brown and remove it from oil. Mix potato with fried onion, fried dry chilli flake, chat masala and salt together. Divide the potato mix into 8 and give the shape of fritter (chop). Dip into egg and roll into breadcrumbs. Heat the oil; when oil ready, fry it till it becomes golden brown. Love to read your recipes and follow them. My hubby loves Bangladeshi food, specially fish dishes. Most welcome. 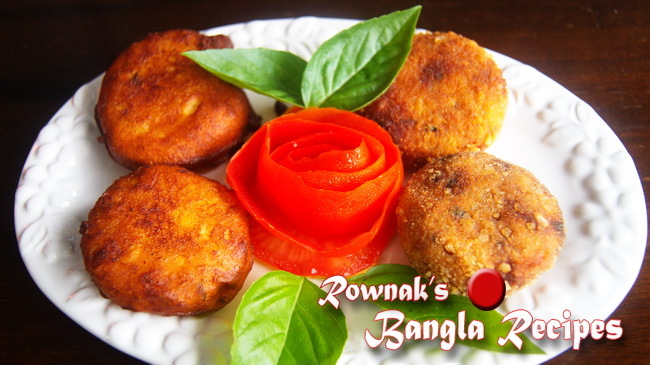 Fish and sweet are very exclusive in Bangladeshi cuisine.